We worked with PD3 to help make famous a unique campaign to cement O2’s legacy of supporting the charity, War Child in the public consciousness while stimulating interest in the O2-sponsored War Child Exhibition at The O2. 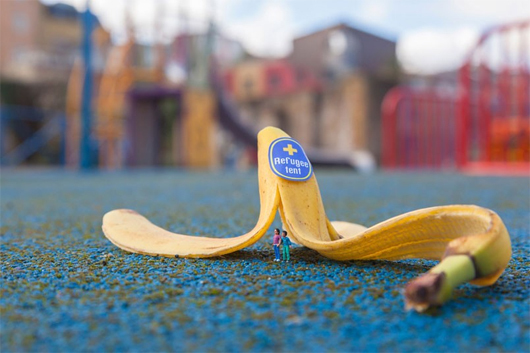 As the charity turned 20 years old, they created a series of pieces of artwork for O2 – working with photographer Slinkachu – that would deliver editorial value, but that could then be auctioned through and immediately after the exhibition, giving O2 a presence as partner and sponsor pre-event. The commissions, a unique series of artworks created using his a series of “mini people” featuring children and conflict. The result was belting coverage across over 40 titles – from nationals including Daily Mail Online, a Daily Telegraph gallery, and Huffington Post, to trendsetter titles such as BoingBoing, CreativeBoom, Design Week, Inspiration Room, My Modern Met, CultureJunkie, HYC, We Heart, Now. Here. This., and UKSA.